Mondoluce’s Piega barrel spot can be converted into a downlight. The versatile Piega barrel spot from Mondoluce is an extendible fixture with 360° rotation and a 90° adjustable angle for directing light. 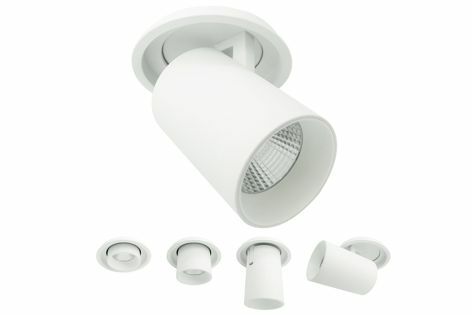 It also performs as a downlight when fully retracted.